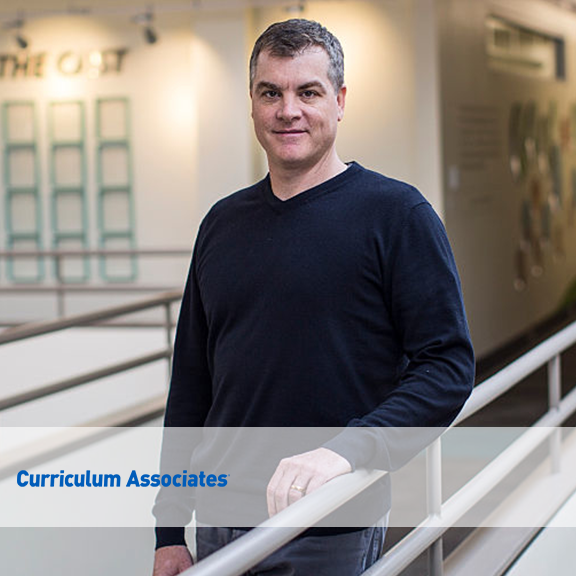 Rob Waldron joined Curriculum Associates in 2008, bringing leadership experience from both for-profit and nonprofit education worlds. He runs the company with a long-term focus, upholding the founding mission to improve classrooms everywhere. Under his leadership, revenues have increased more than seven-fold, making Curriculum Associates the nation’s fastest-growing K–12 education publishing company. Curriculum Associates now employs 1,000 staff and has earned “Top Place to Work” status from both the Boston Business Journal and The Boston Globe. Prior to joining, Rob served as CEO of Jumpstart, a national nonprofit preparing preschoolers from low-income backgrounds for success, and as CEO of the K12 tutoring division of Kaplan Education. Rob also served as an operating executive at private equity firm Berkshire Partners. Winner of the Northeastern U.S. Regional YPO Social Impact Award, EdTech Digest CEO of the Year and named an EY Entrepreneur of the Year in New England, Rob’s mission-driven passion has earned him recognition as a Fast Company Top 25 Social Entrepreneur and World Economic Forum Young Global Leader. An Aspen Institute/Pahara Fellow, Rob also served as a Fellow at Harvard’s Kennedy School. Rob received his B.A. from Northwestern and M.B.A. from Harvard.